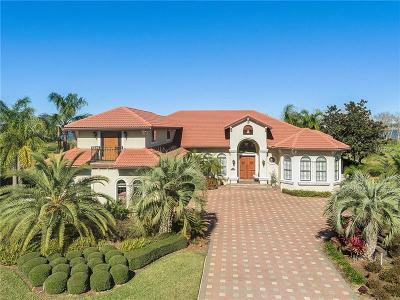 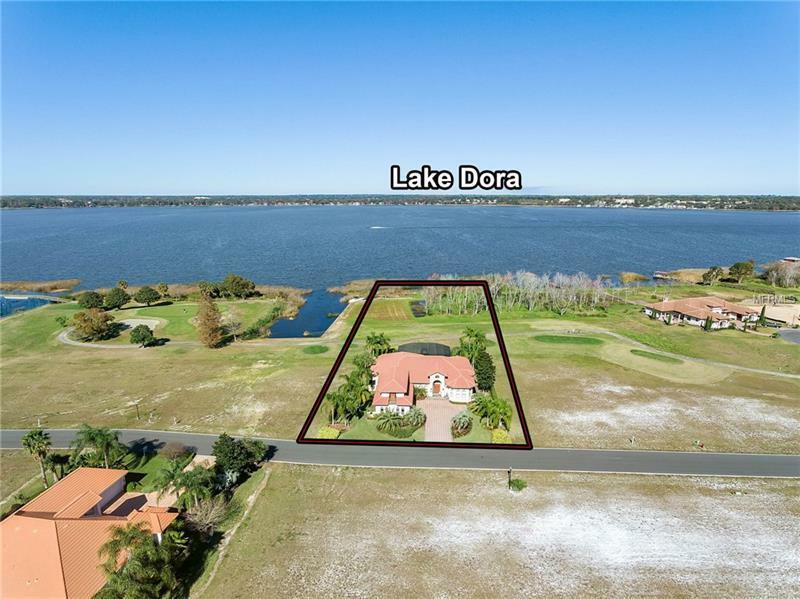 Tuscan-Mediterranean on Lake Dora.. 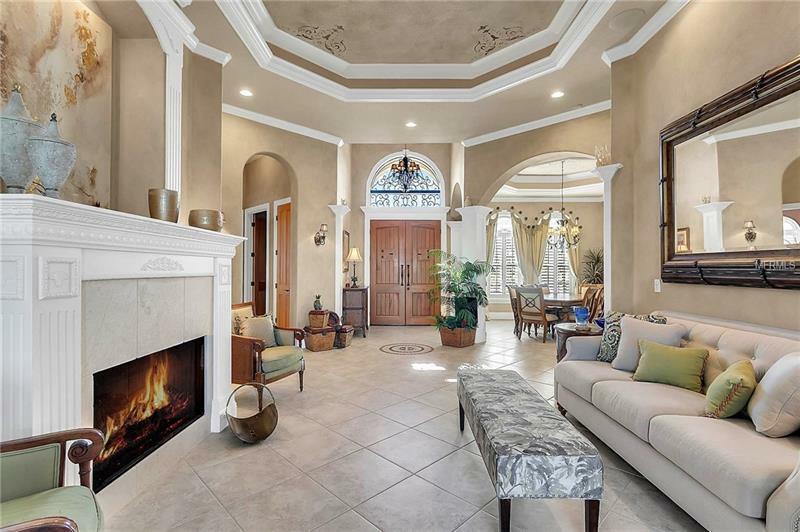 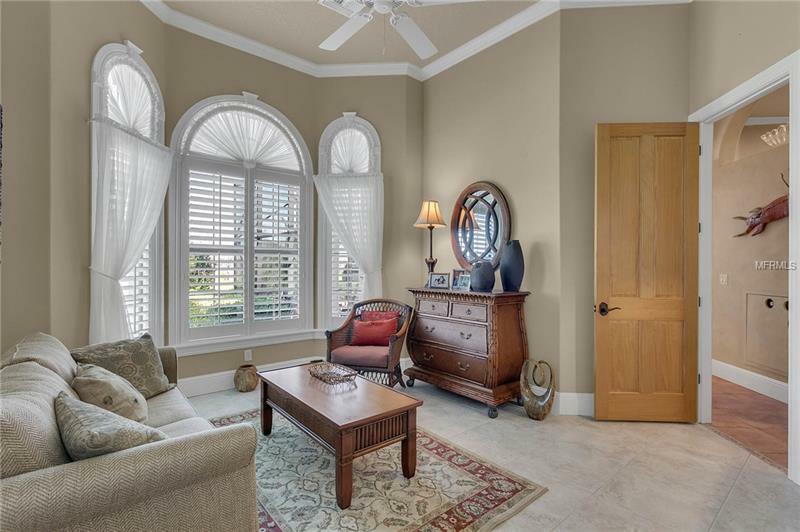 Built by Sam Sadler this custom home reflects the finest craftsmanship, with 8â wood doors, fine cabinetry, crown moldings & wood cased window throughout the residence. 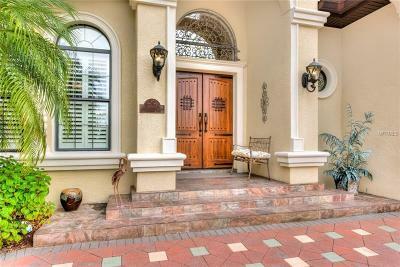 A speakeasy double door entry creates an atmosphere that resonates thru the home. 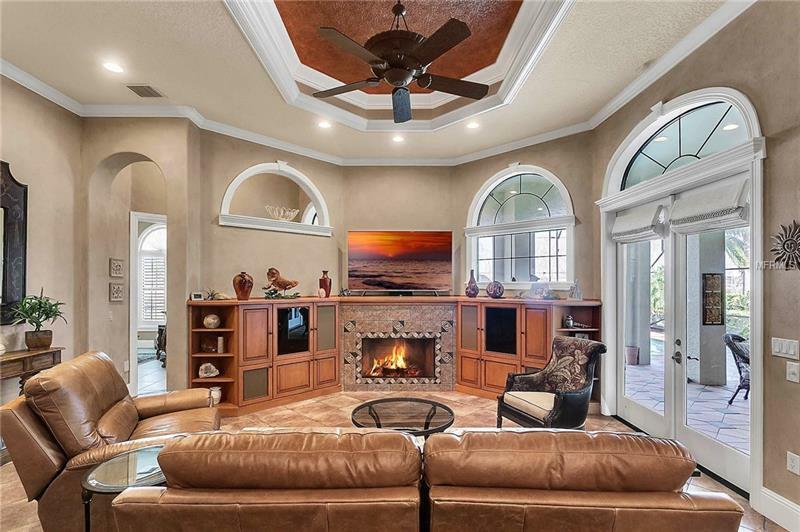 The gas fireplace creates the focal point of the formal living room while an elegant dining room is located near the gourmet kitchen with itsâ abundance of cabinets, high-end stainless appliances, hammered copper sinks and spacious dinette area that seamlessly joins the sizable family room prominently exposing a custom entertaining unit & 2nd fireplace. 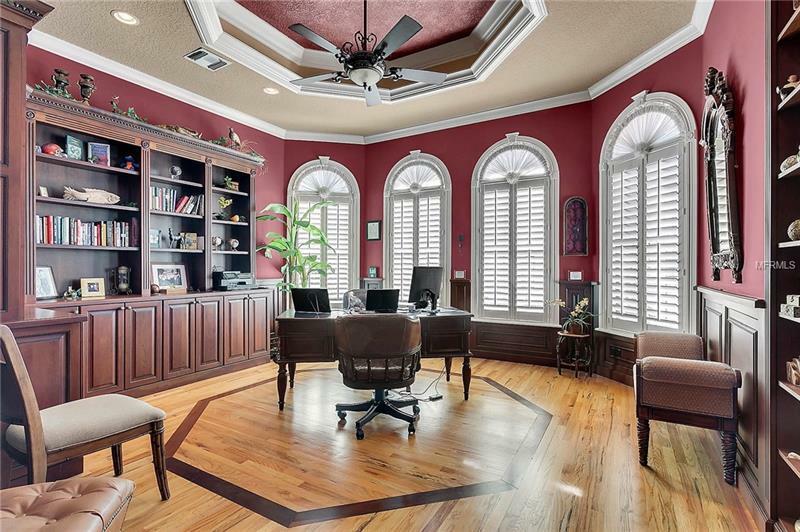 Tray ceilings and plantation shutter establish an ambiance in every room. 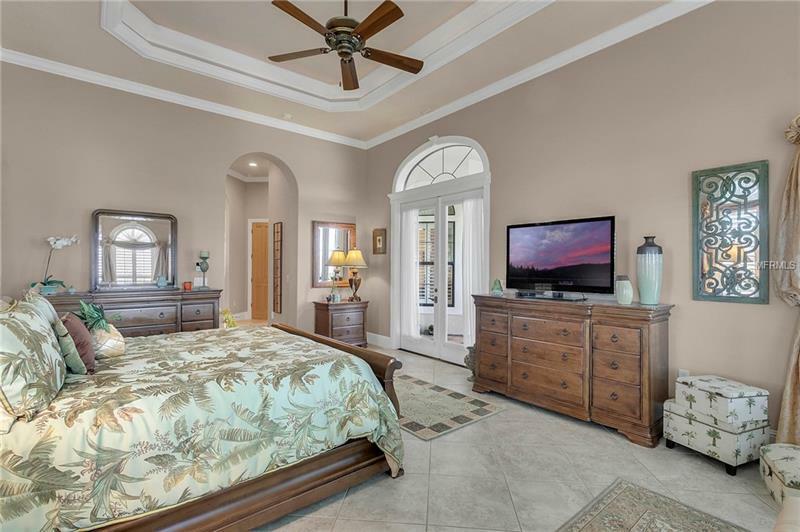 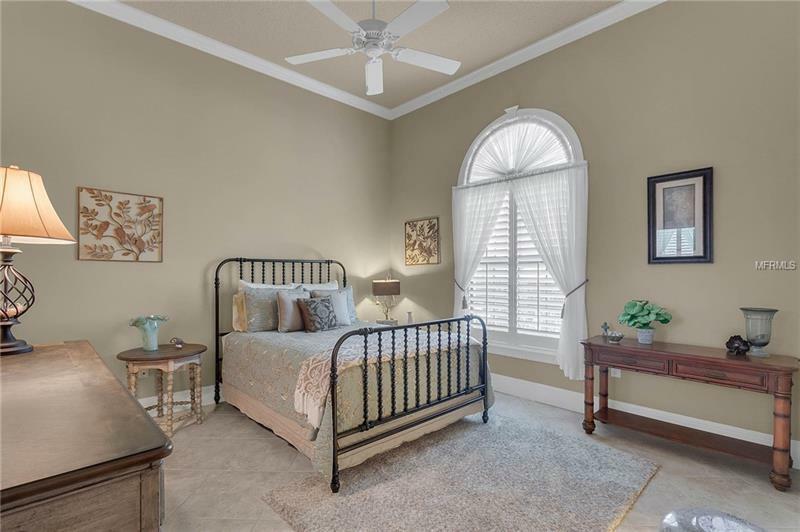 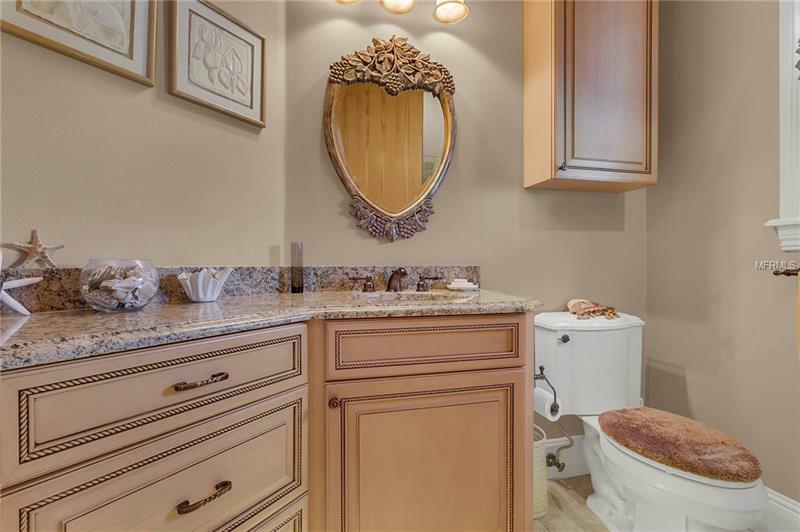 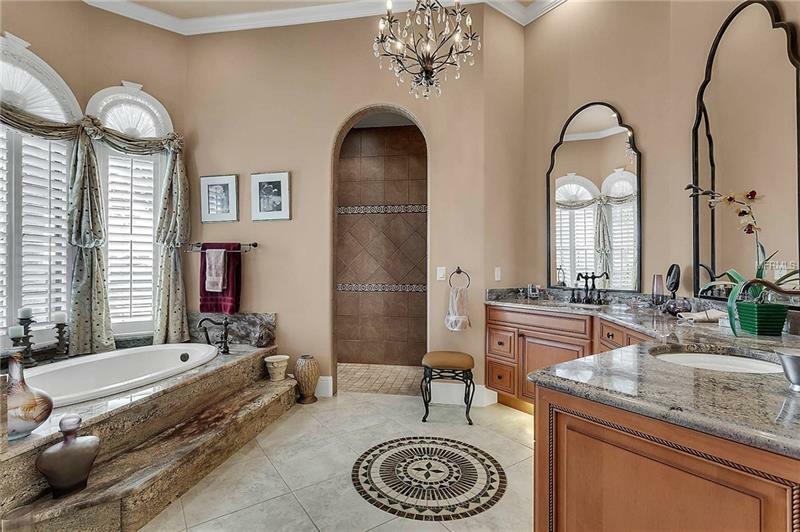 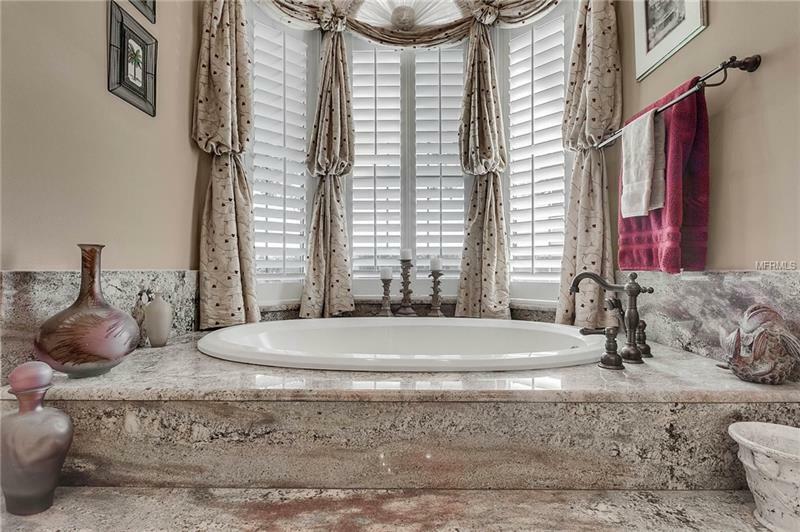 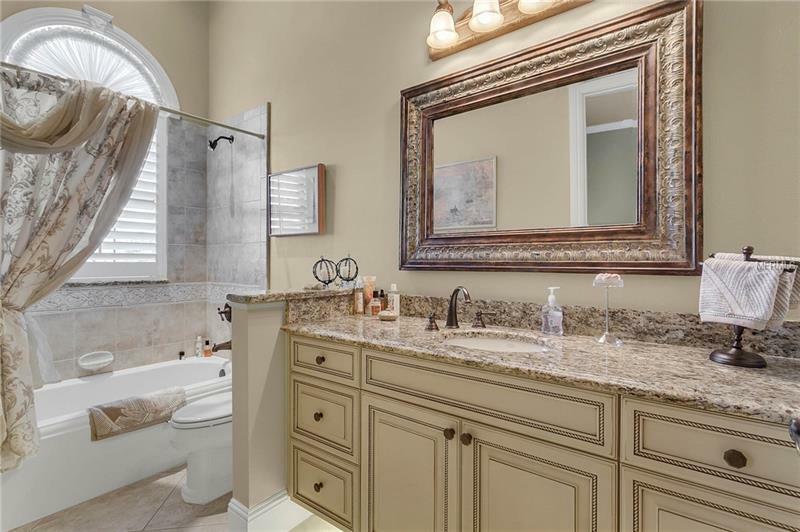 A spacious master suite includes double closets, garden tub, walk-in shower & separate water closet, while a functional office boasts an octagonal wood floor design & built-in cabinets. 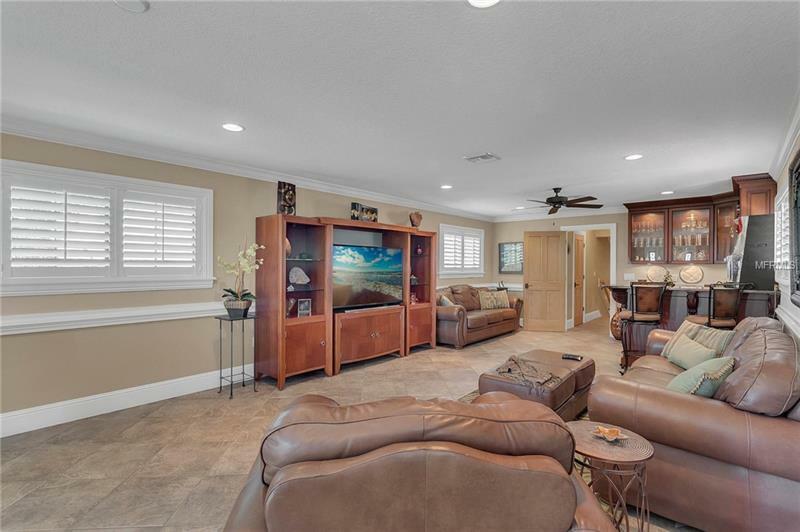 The sizable bonus room located on the 2nd floor has a full bath, mini kitchen, sink & fridge, also be considered a 4th bedroom or In-law suite. 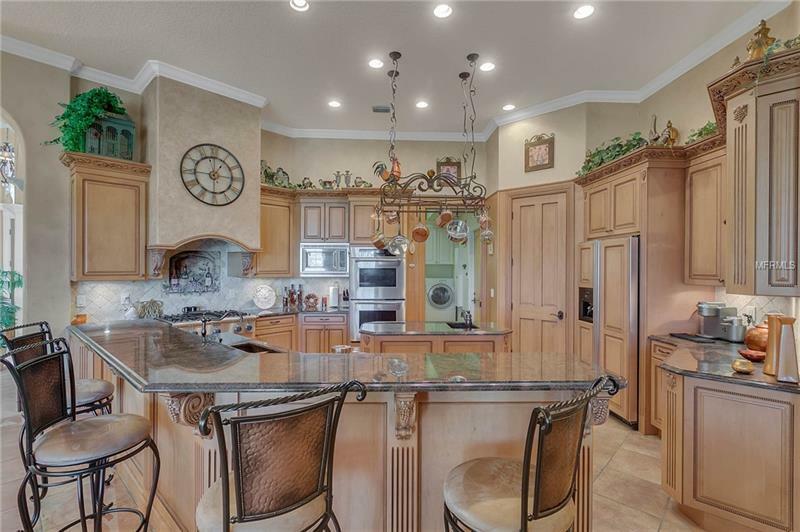 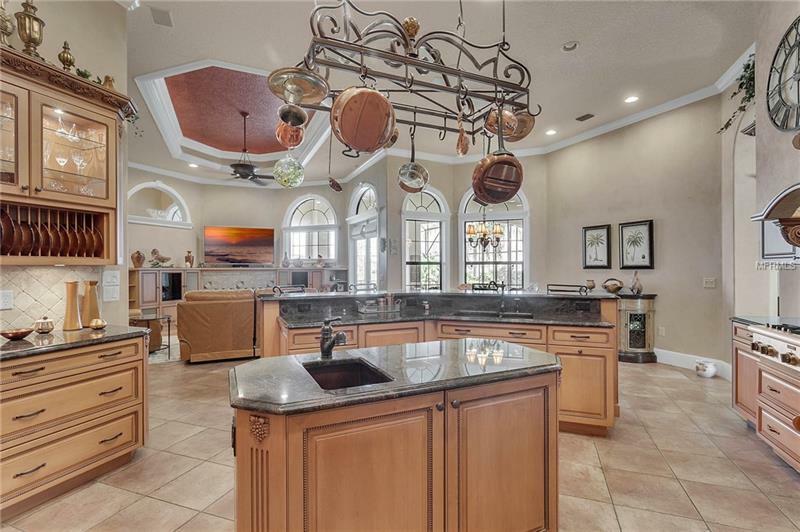 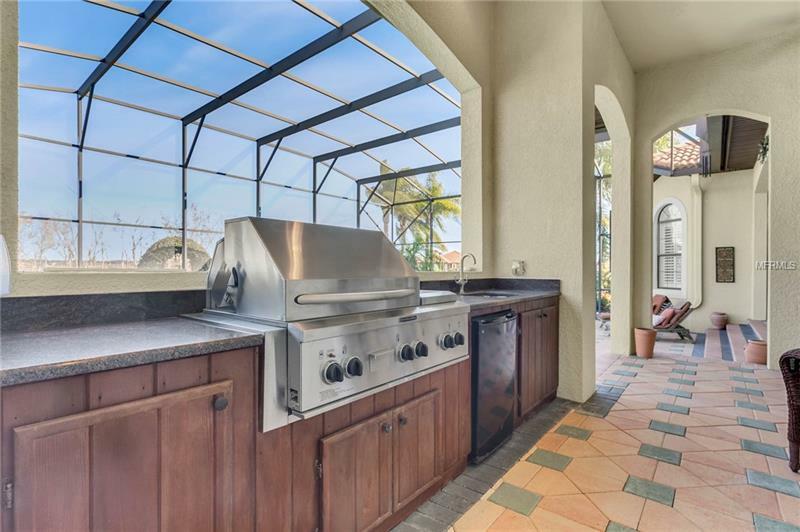 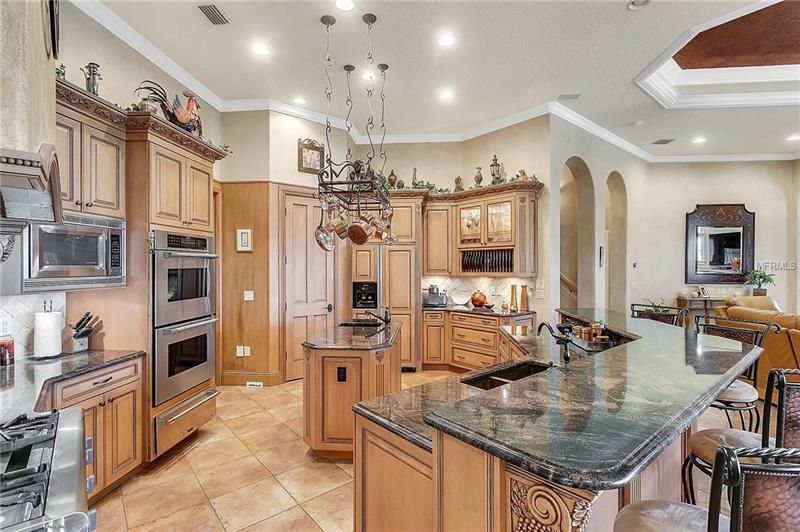 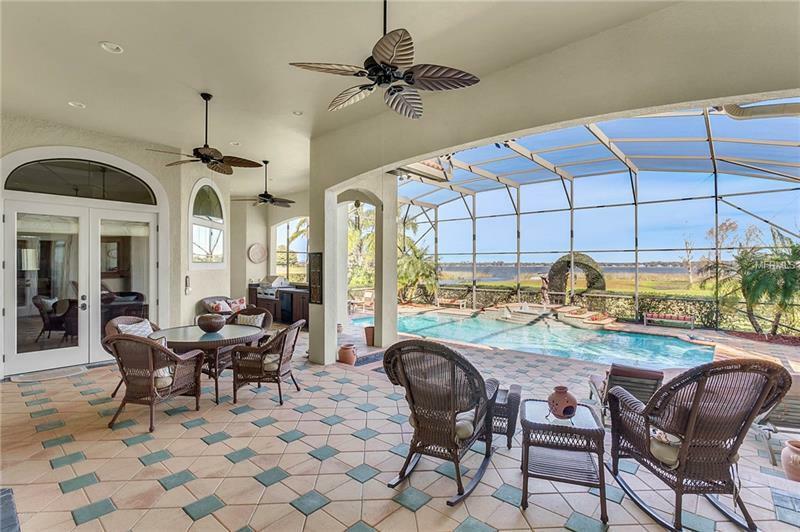 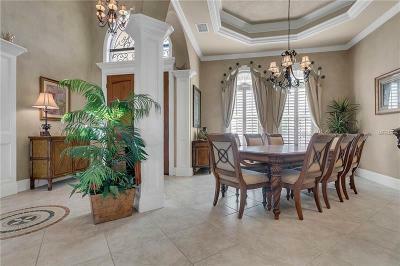 The outdoor living showcases an outdoor kitchen, resort style pool & a stunning skyline view of Mount Dora. 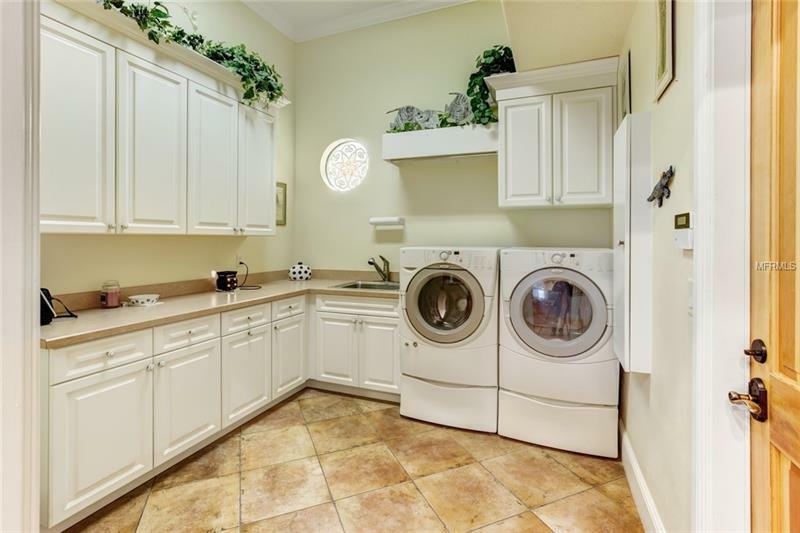 Equipped with 3 A/C units, a 80 gal water heater w/circulation system offering instant hot water through the home, water softener, central vac, emergency generator, irrigation well & a misting system for insects. 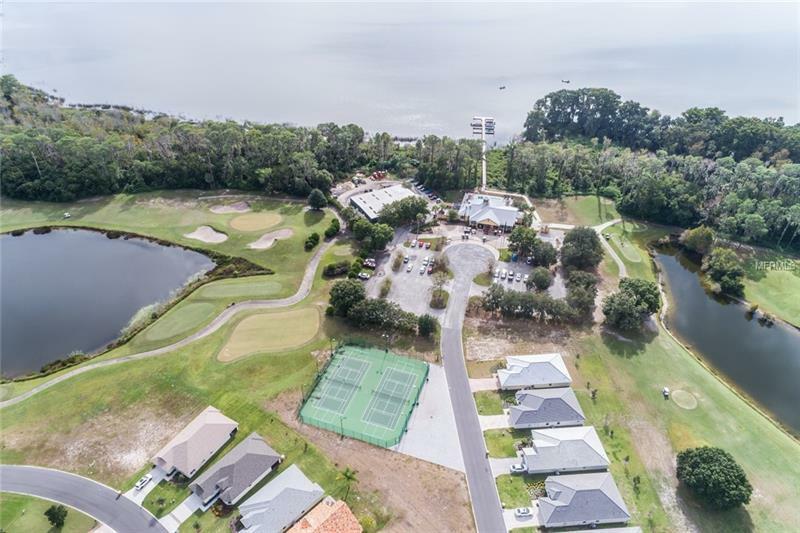 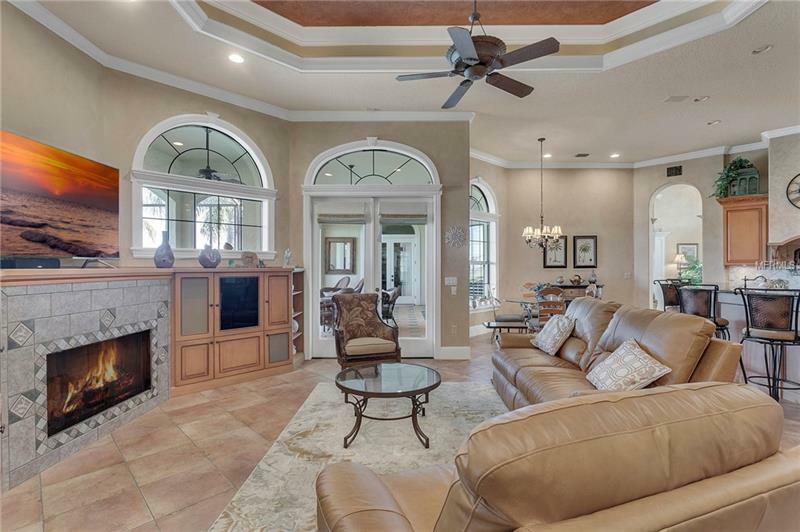 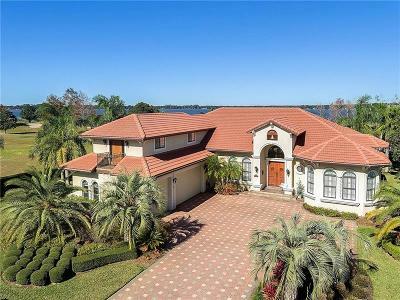 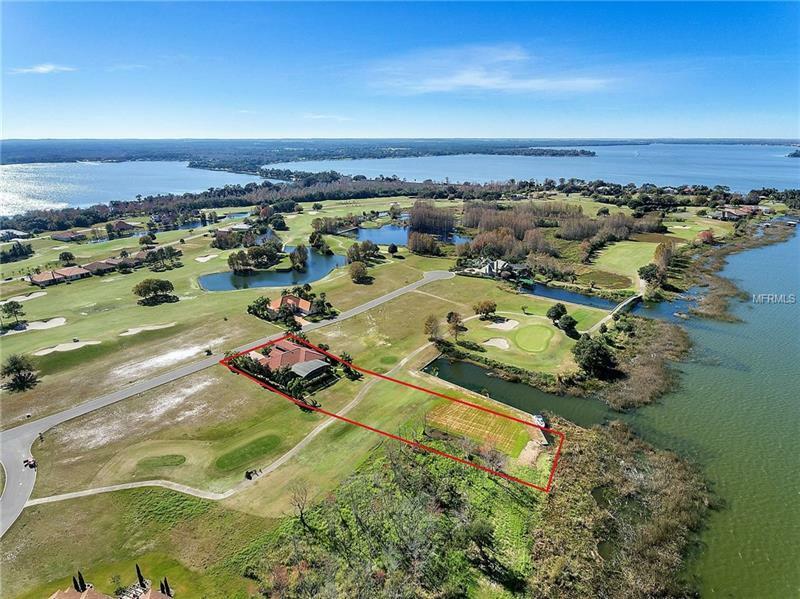 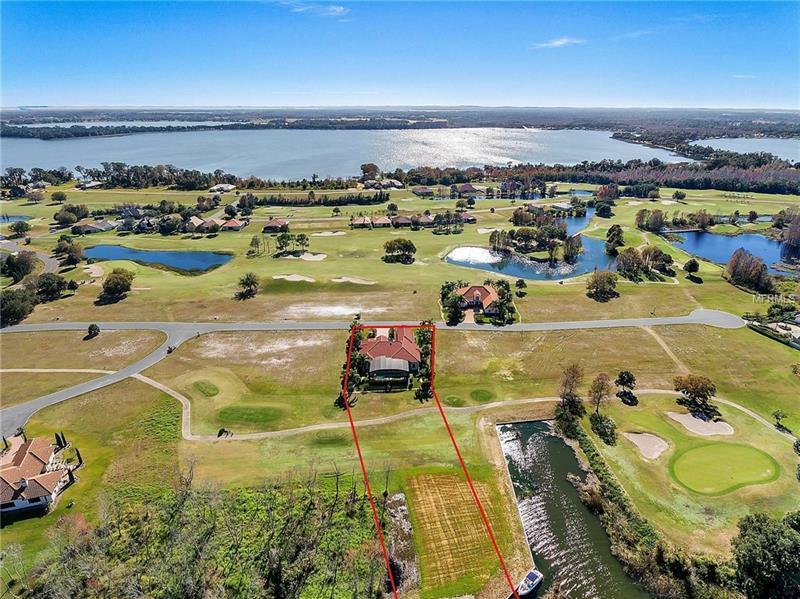 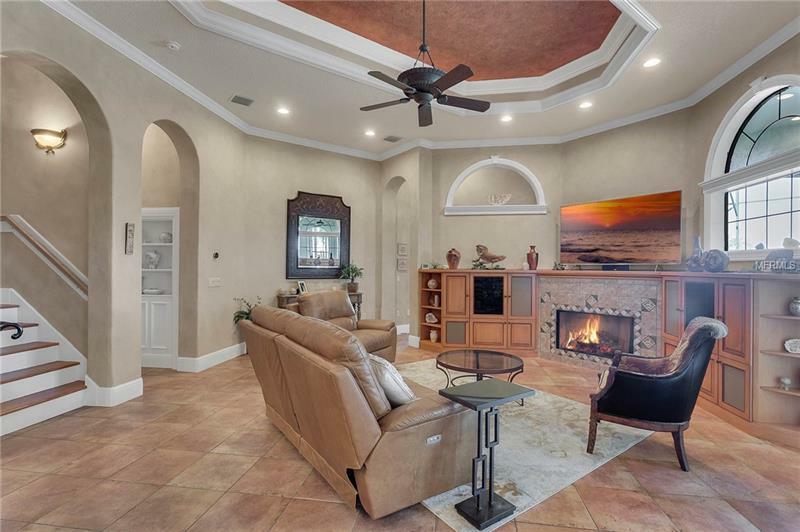 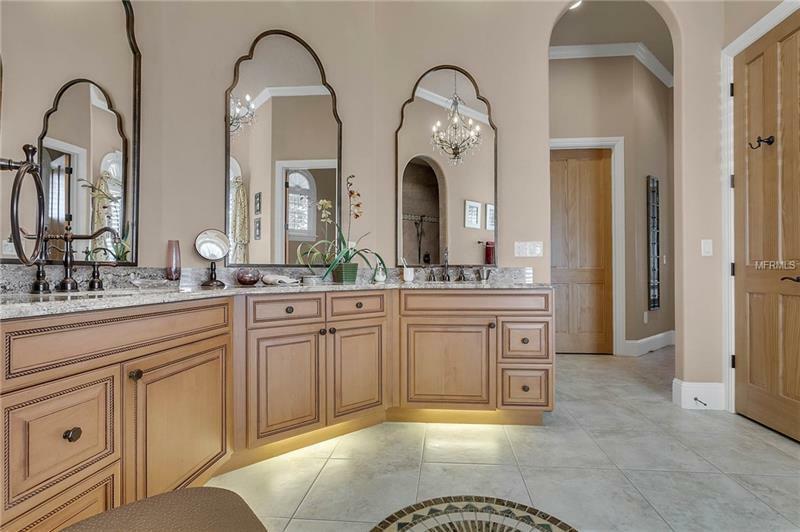 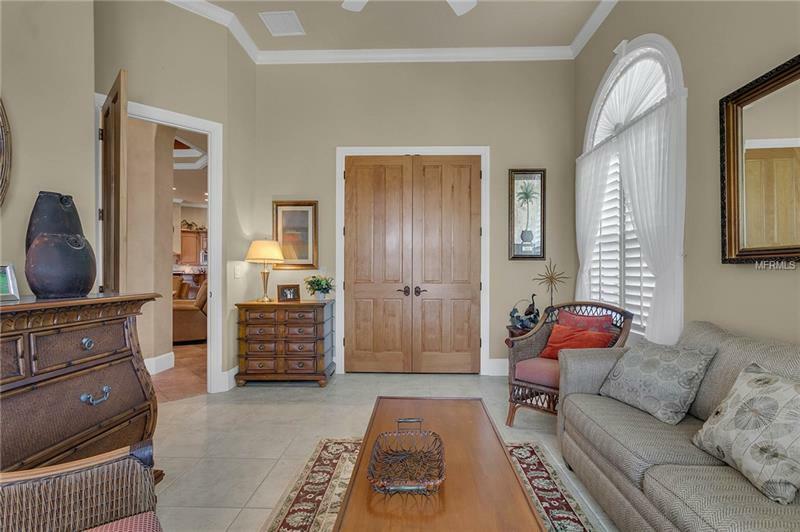 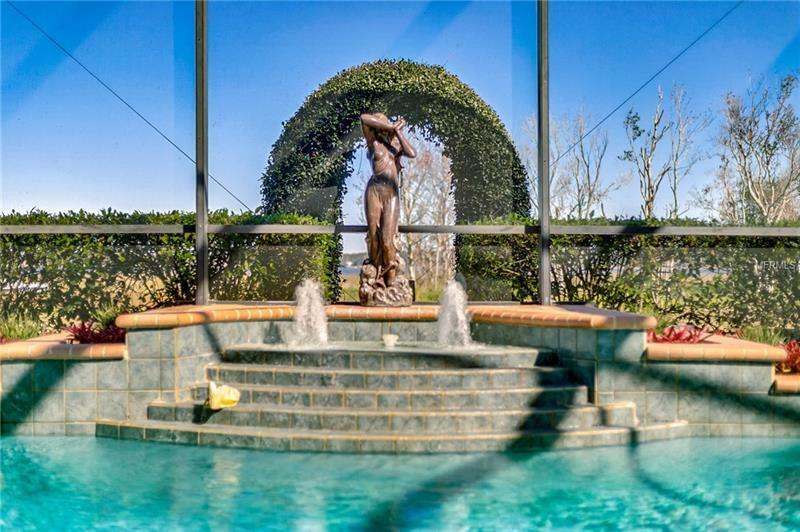 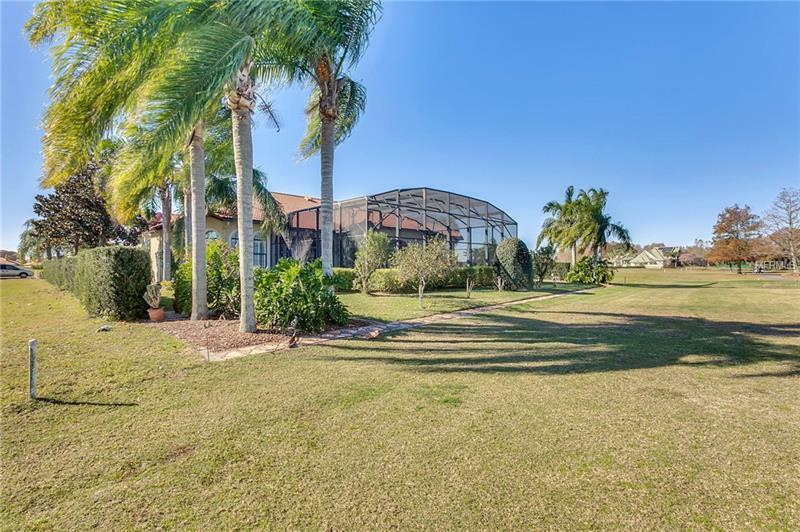 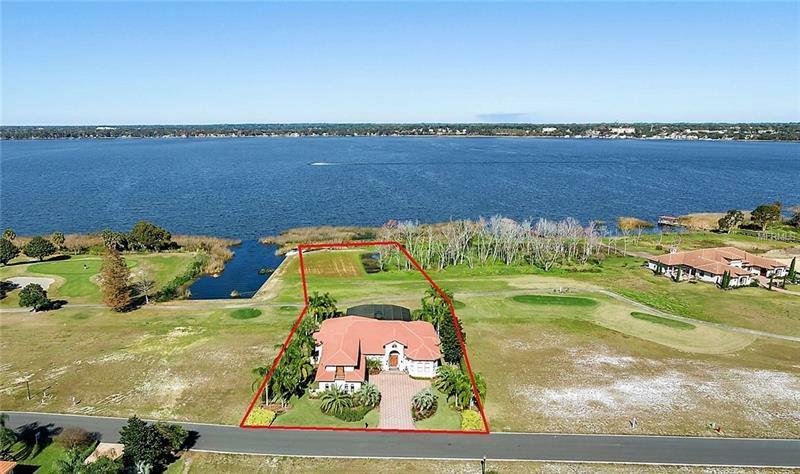 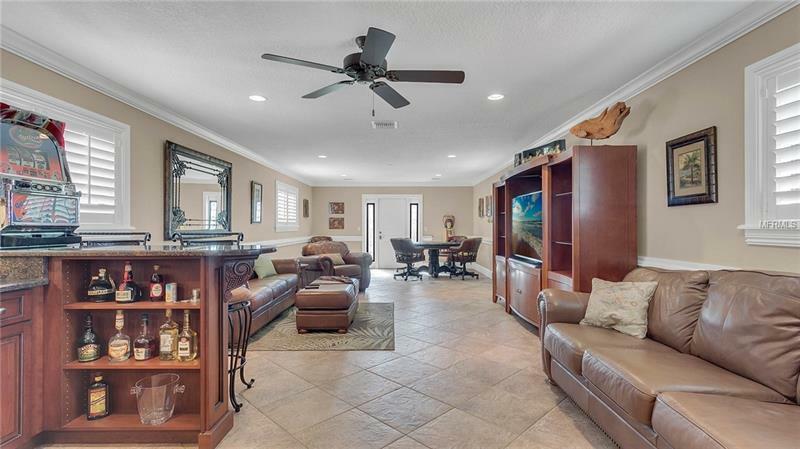 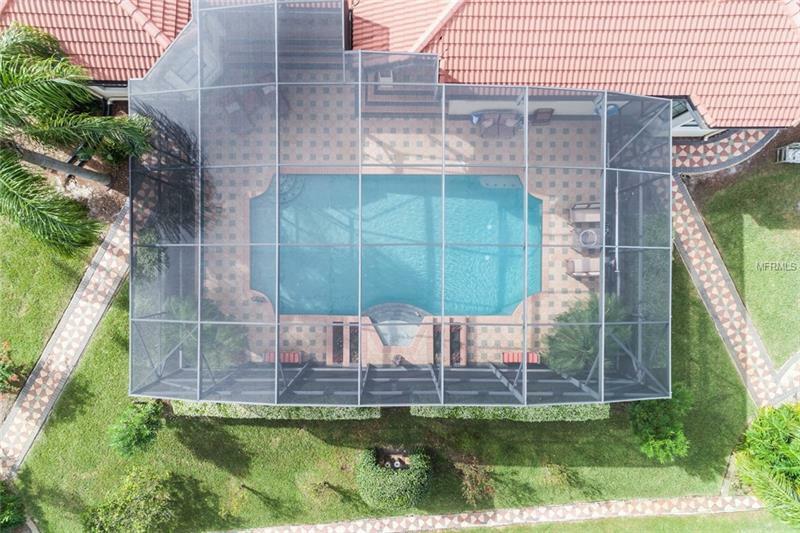 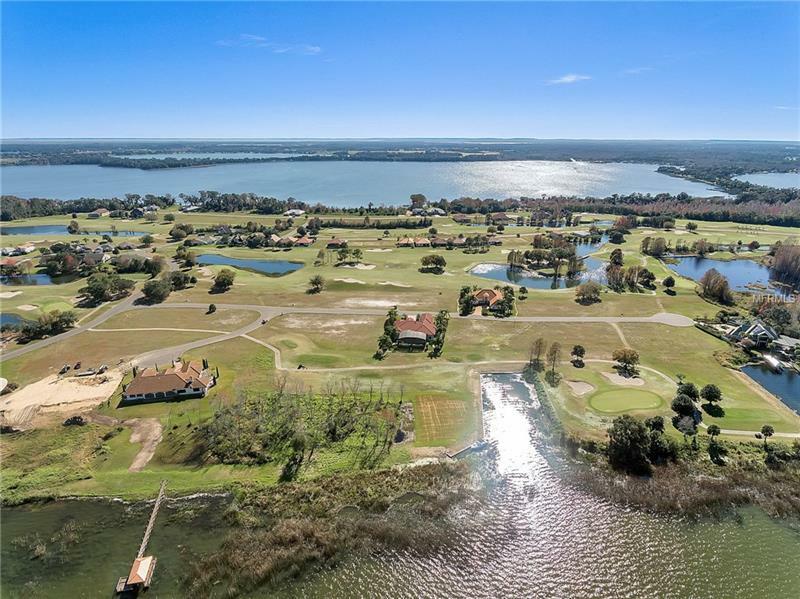 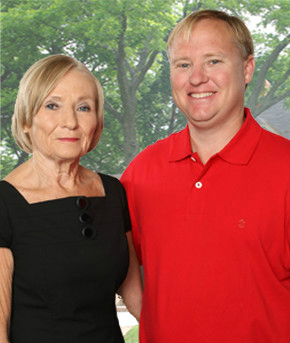 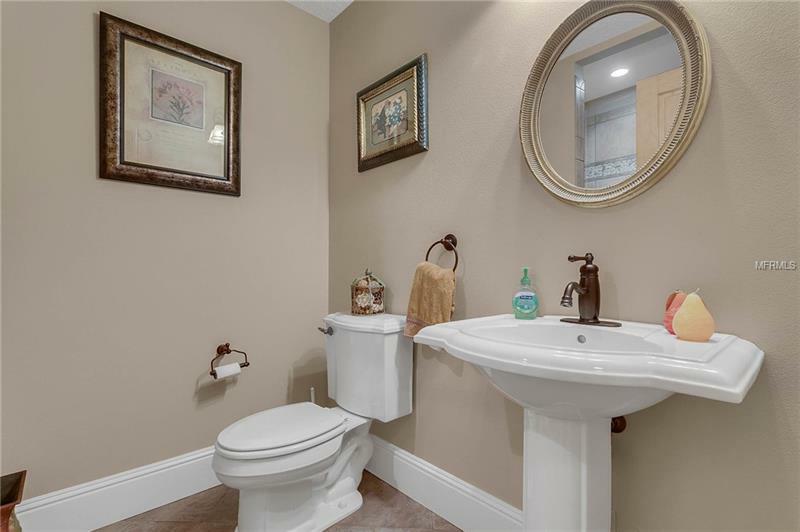 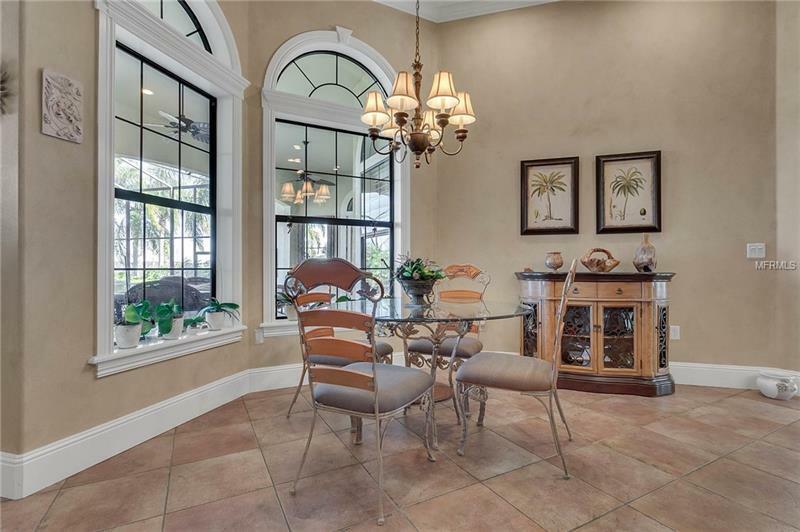 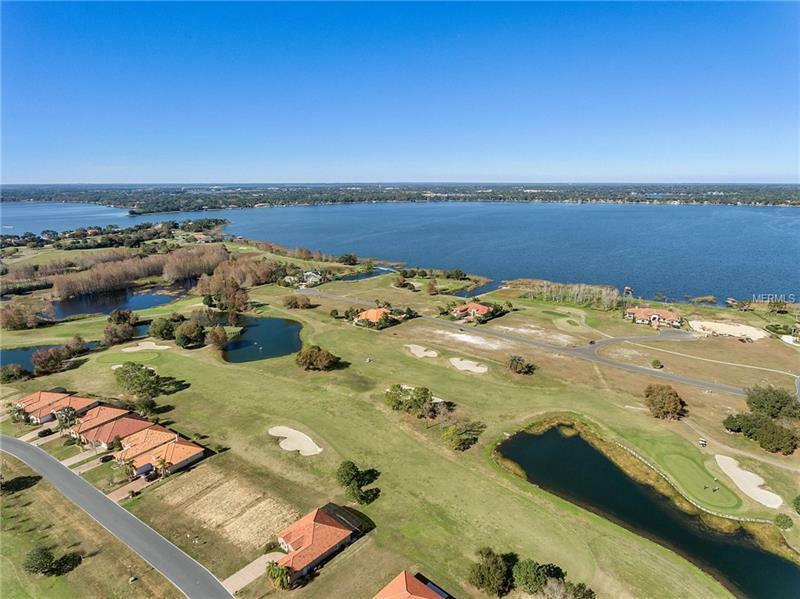 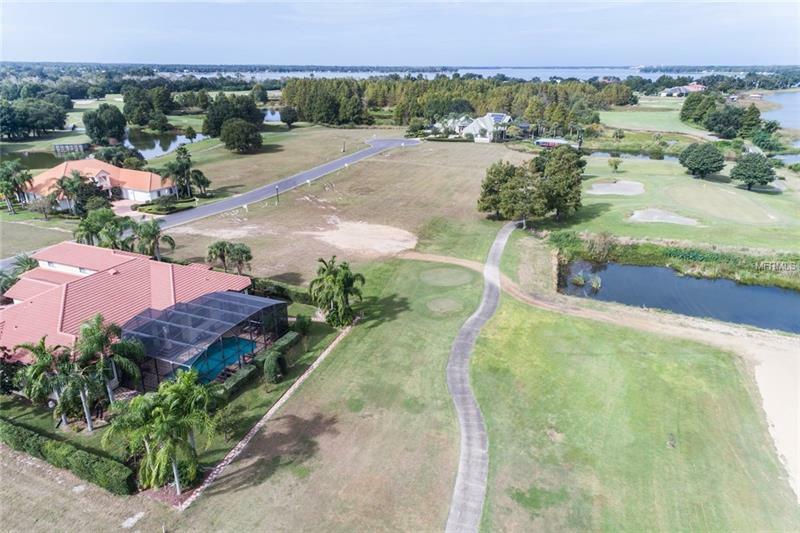 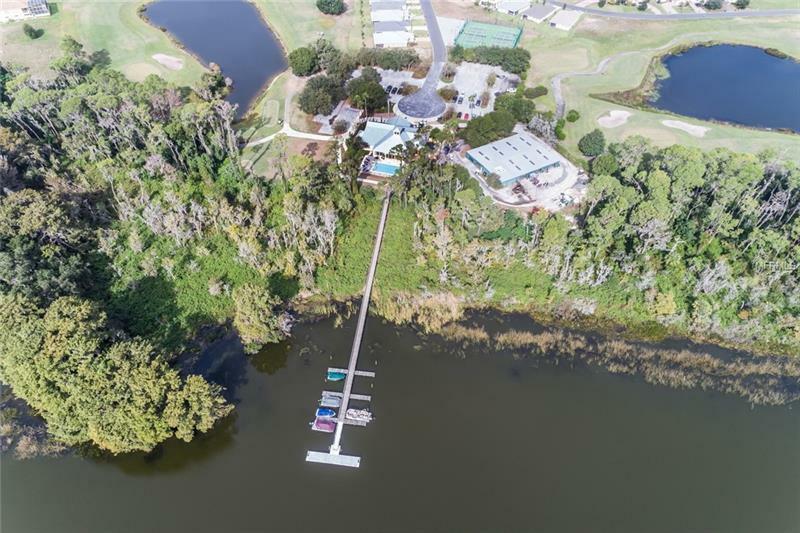 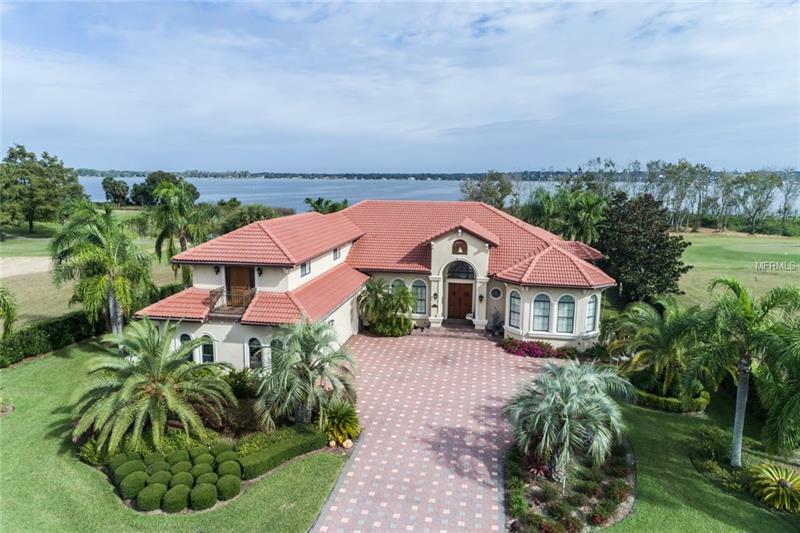 If you're looking for a picture perfect waterfront home with lush mature landscaping & breathtaking golf/lake views in a gated community, YOUâVE HIT THE JACKPOT.